For 10 years already smart BRABUS has stood for dynamism and sportiness. Since 2002 the company founded by smart and the tuning specialist BRABUS from Bottrop have brought top versions of the popular car brand to the market. At the Geneva Motor Show the BRABUS versions of the smart fortwo electric drive and the smart ebike will show what these look like in the era of electric mobility. 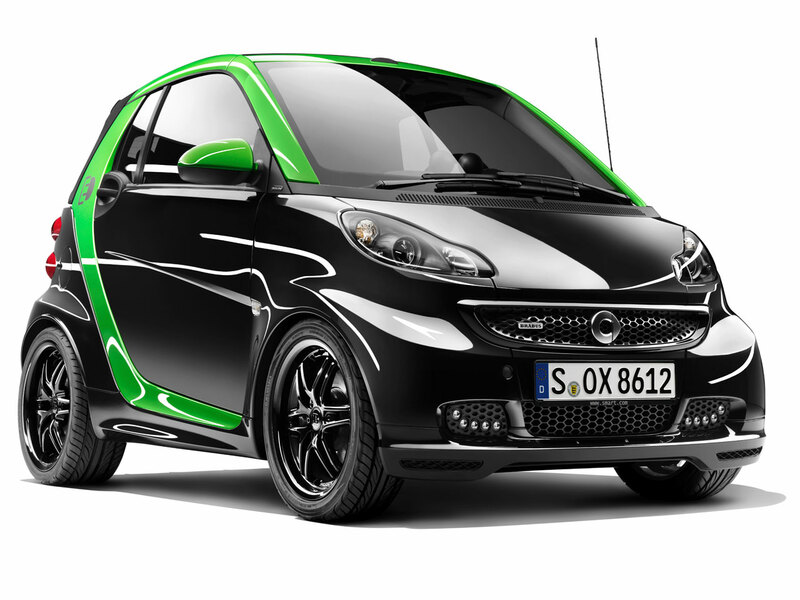 The smart BRABUS electric drive will be available from smart centers in 12 countries from the end of this year. In addition to modifications to the exterior and interior styling, its drive has been designed for particularly dynamic and powerful acceleration. Aerodynamic body styling parts, BRABUS sports suspension and BRABUS Monoblock 16/17 inch alloy wheels add to the sporty appeal. 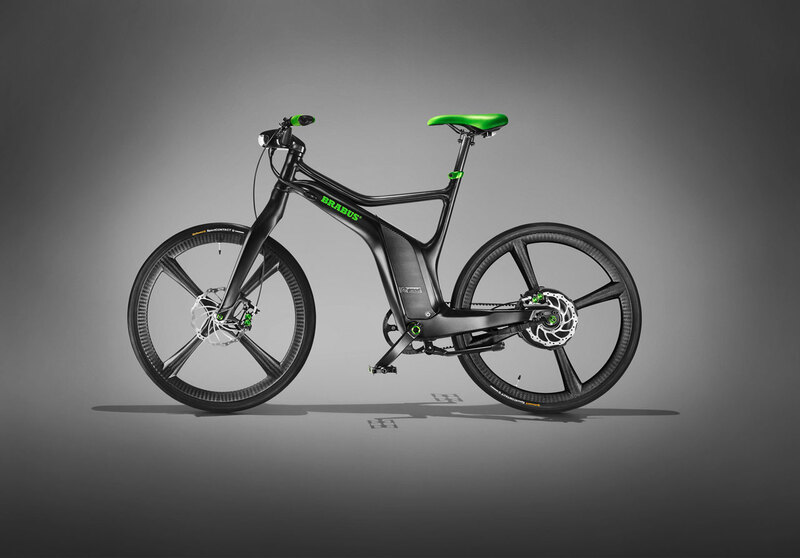 At the same time the near-series study of the smart BRABUS ebike is celebrating its world premiere at the Geneva Motor Show. The two-wheeler can reach a speed of up to 45 km/h and offers a further enjoyable way of getting around the city and countryside. 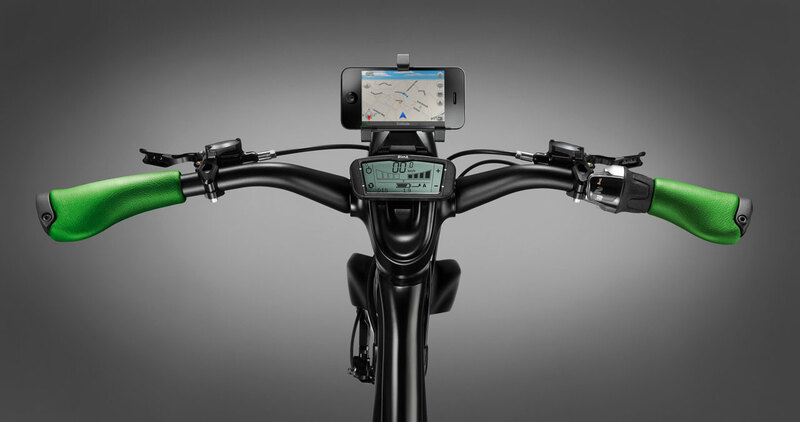 The production version of the smart BRABUS ebike is expected to be available from dealers from the end of 2012. Zero local emissions but maximum driving fun: the smart BRABUS electric drive proves that cutting-edge urban mobility can be combined with lively agility and a sporty look. 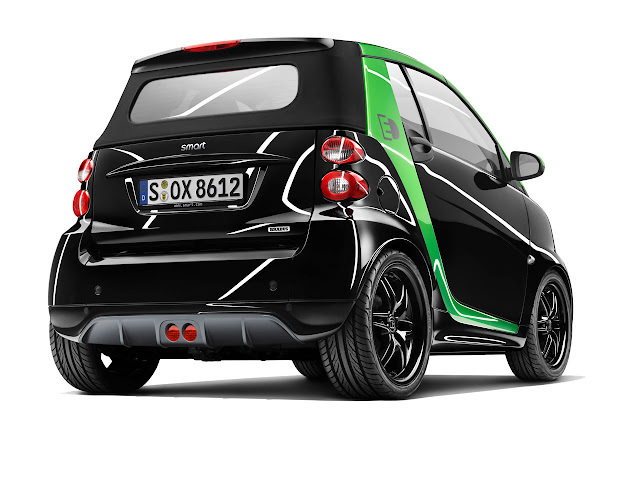 The electric motor is based on the state-of-the-art drive technology of the new smart fortwo electric drive and has an output of 60 kW. The smart BRABUS electric drive delivers maximum torque of 135 Nm, which means that it almost always wins when pulling away at the traffic lights. The new BRABUS sports suspension makes a decisive contribution to driving fun by bringing the vehicle approximately ten millimetres closer to the asphalt. 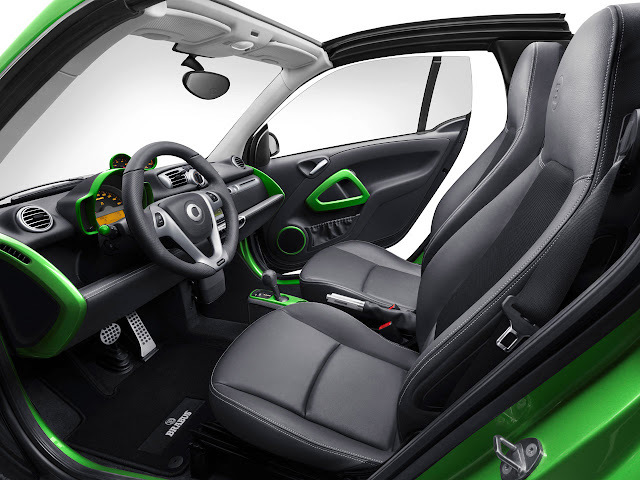 The sporty character is accompanied by a special BRABUS sound to match, generated by a sound module. The smart BRABUS electric drive comes with a BRABUS sports steering wheel with steering wheel gearshift as a standard feature. Recuperation can be regulated with the help of the shift paddles.